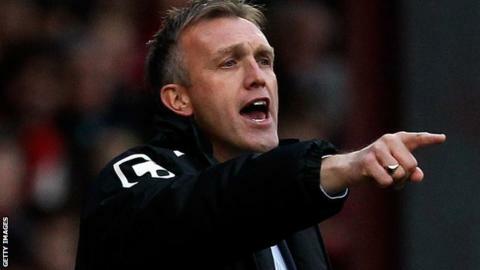 Crewe Alexandra manager Steve Davis says the future of the club looks very healthy as six academy graduates are offered professional contracts. Second-year scholars Callum Pritchard-Ellis, James Ballie, Callum Saunders, James Jones, Fraser Murdock and Perry Ng have all been offered senior deals. Davis told BBC Radio Stoke: "We're delighted to have another strong group. "Producing our own younger players is going to be more important. It only bodes well for the future of the club." Additionally, three under-16s have also signed first-year scholar contracts. Crewe's under-21s have enjoyed success again this season, reaching the Professional Development League Two final thanks to a 4-0 win against Cardiff on Wednesday. Crewe will now play Queens Park Rangers in the final at Loftus Road. "The secondary scholars have all been fairly strong," Davis added. "It took a lot of meetings to decide which of the players we would take. "The future, at the moment, looks very healthy. "It's harder to recruit players now, because of the demands of some of the players and the agents. "Experienced players are more or less a 'no, no' for us, particularly names that people know. Financially, they're always out of our domain. Our own players can give us a better style of playing."